Kids seem to spend endless hours on smartphones, games consoles, computers and tablets these days. Playing on electronic devices certainly doesn’t help their waistlines, but do you ever wonder what regular device use is doing to their eyesight? While there isn’t much research out there yet about the impact of screens on eyesight – after all the iPhone was first unveiled by Apple in only 2007 – experts are concerned about growing levels of short-sightedness in children. And they suggest the best thing parents can do to prevent it is to encourage youngsters to spend more time outdoors in the sunlight. There has been a massive rise around the globe in short-sightedness – or myopia as it’s officially known – over recent decades. Why has it become so much more common? So should we stop or limit screen use? Well that’s much easier said than done! 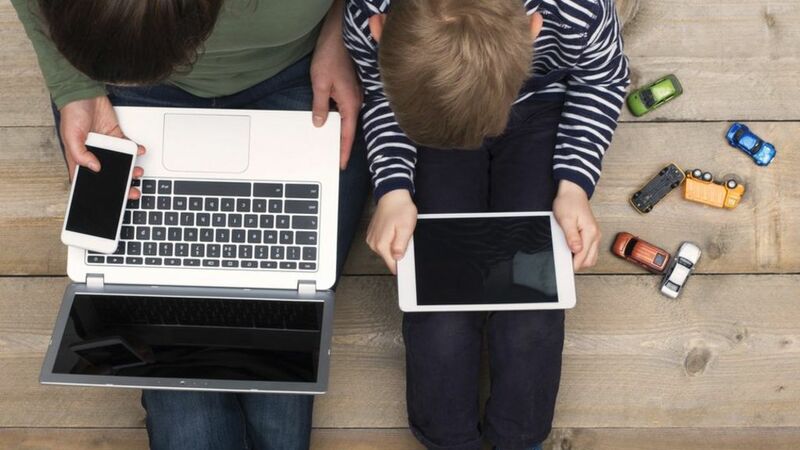 Any parent will know that youngsters are like dogs with bones when it comes to their beloved phones and trying to get them off their devices is pretty much impossible – certainly without a massive argument. Dr Dahlmann-Noor, who is a mother of three, says trying to stop screen use is probably an unrealistic aspiration. The best thing to do, say the experts, is to get children playing outside as much as possible. He says myopia research done in Sydney, Australia showed that only 3% of Chinese-heritage children living in Sydney – who spent two hours a day outdoors – were short-sighted by the age of six, compared to nearly 30% of six-year-olds in Singapore. How would I know if my child was becoming short-sighted? While levels of myopia are likely to continue to rise, the hope is that researchers will find ways to reduce its progression.